OLD PARKED CARS. : 1982 Audi 4000s 4E. beautiful find. the no-nonsense roof racks tell me this is somebody's workin' car. 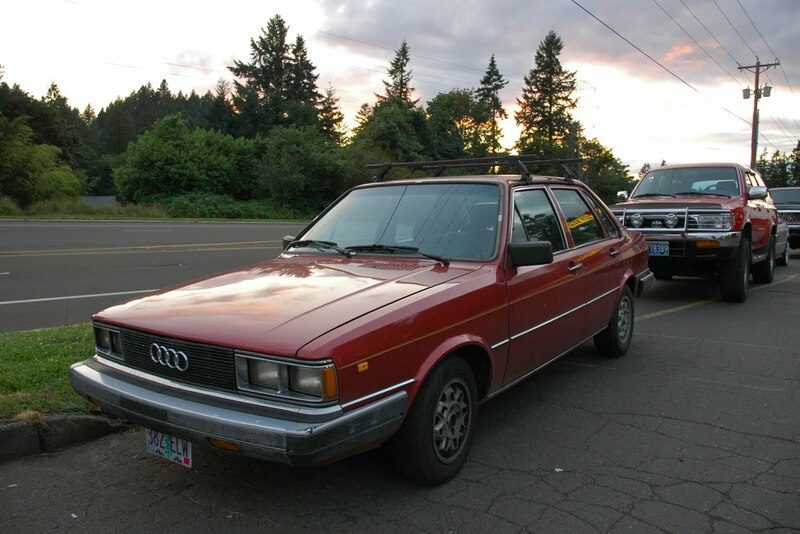 amazing to see a vintage audi this clean that still looks stock. and get outta here with the freakin' sunsets. jeez, i want to swim in that light. "E" was for "economy" - this model should have a 5-speed (vs. 4-speed) transmission, which theoretically resulted in better fuel economy. The better choice was the equally curiously named "5+5" (2.1L 5-cylinder engine + 5-speed manual transmission). Great car. 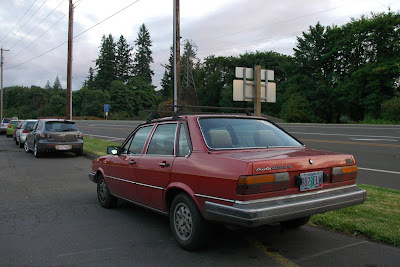 The bumpers were smaller on European models so looked a little less obtrusive. At least in the European models the "E" usually stood for Einspritzung - fuel injection. 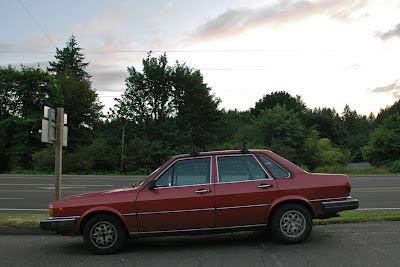 Like the Audi 100 5E, for example. I can't speak for non-US markets, but the US-market 4000 4E was fuel injected (Bosch K-Jetronic). Before fuel injection became standard, manufacturers often used "i" to designate fuel injected models in the US. 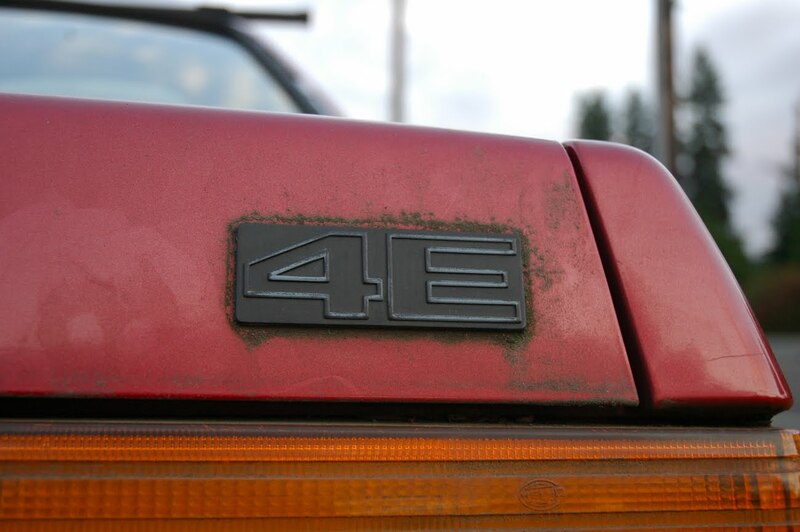 Awesome find, the 4E badge shot, side profile and front shots are great.